Gower is an English language annual journal containing articles, photographs and news relating to the area’s archaeology, history, natural history and landscape. It was first published in 1948 and continues. Publisher Details: The Gower Society was founded in 1947 to promote the understanding and protection of the local landscape. 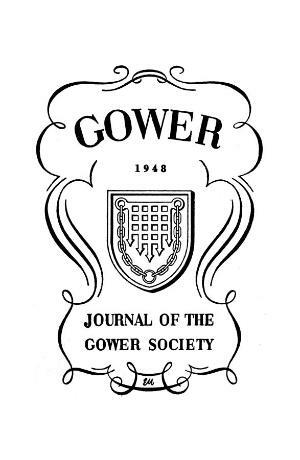 The society is a registered charity and it arranges lectures, visits and other events and publishes its journal, Gower.